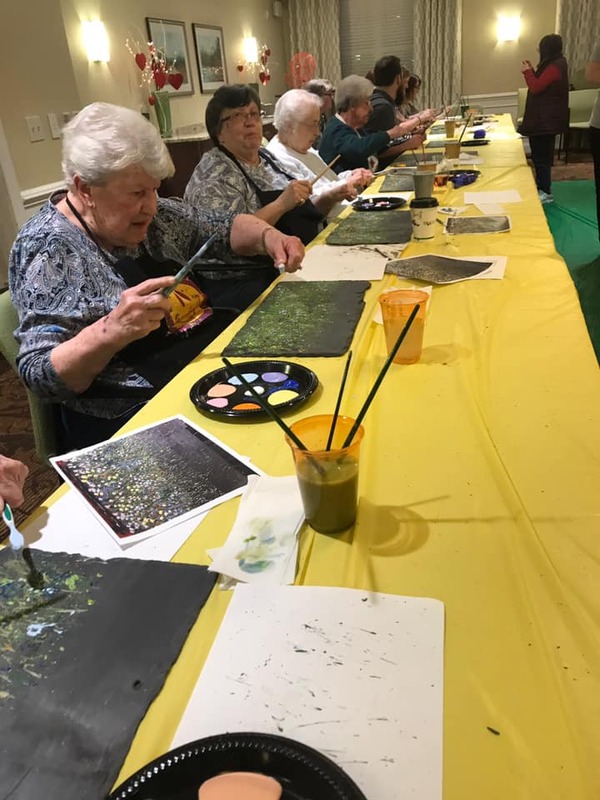 Each March we celebrate National Craft Month, but at Brightview Senior Living we highlight the benefits of arts and crafts for seniors each month. 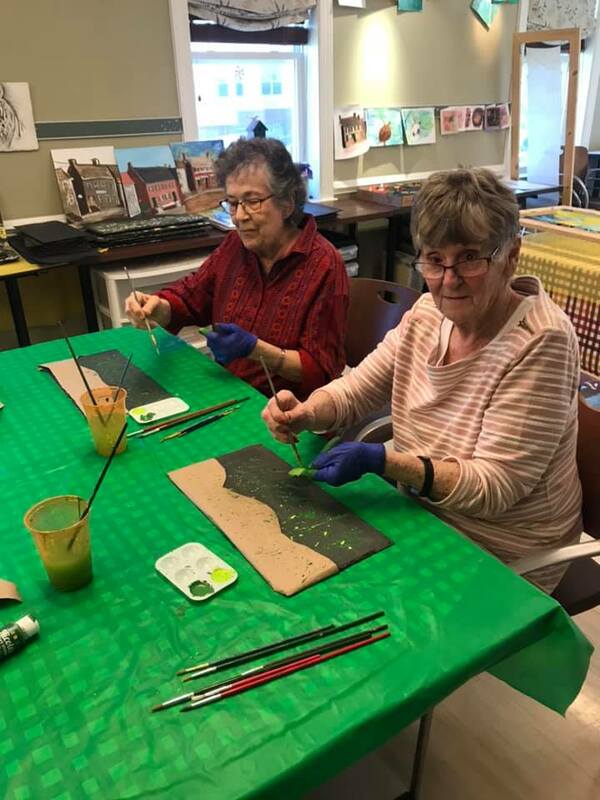 Arts and crafts are enjoyed by people of all ages, and it has heath benefits as well for seniors. As seniors retire, many want to find ways to enjoy more hours in a typical day. As a society, we’ve neglected to push aging adults to explore new hobbies and past-times. We believe seniors should live vibrant lives! As the new wave of seniors begins to retire, there has been a shift of focus regarding their well-being, happiness, and the quality of their golden years. At Brightview Senior Living, we believe in possibility, independence, and choice. In addition, our SPICE philosophy incorporates Vibrant Senior Living by incorporating Spiritual, Physical, Intellectual, Cultural, and Emotional programming for residents to enjoy. 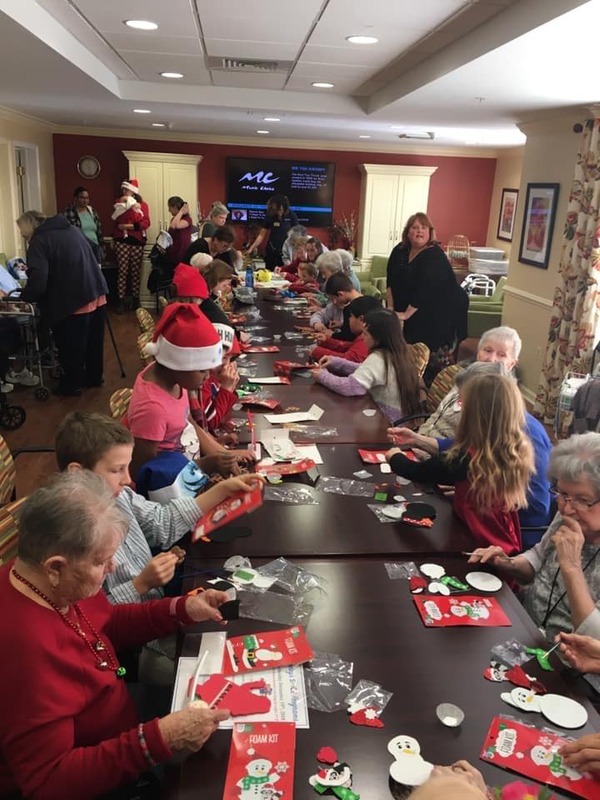 Brightview Senior Living acknowledges the benefits of crafting for seniors and makes sure to add these to our regular resident programming. Besides providing an activity to stay occupied, many personal benefits stem from crafting. Even something as general as coloring for seniors can aid in more than just passing the time. There’s a lot that a hobby of crafting can do for you that may not even be that apparent. Crafting helps to stimulate different parts of the brain, touches on those mental benefits, as they can assist in coping with specific diseases and depression. The process of crafting can even be used as a source of art therapy for those with dementia and Alzheimer’s disease. The creation of visual art forces the creative and cognitive sides of the brain to work together. 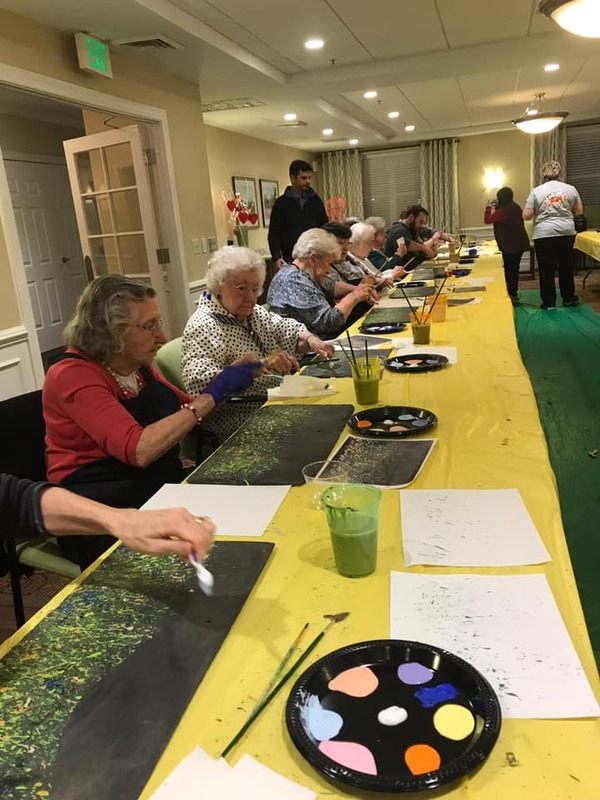 With this, some seniors experiencing dementia who choose to paint or color can take them back to pleasant memories when they were younger and may have enjoyed the same activities. However, there are many other benefits to participating in crafts for seniors. Crafting lessens anxiety, reduces feelings of isolation and brings about a general sense of happiness. These activities also help battle depression. Simple activities and crafts contribute to the creation of dopamine, a natural anti-depressant within the body. Art additionally helps build confidence and gives a sense of purpose. Being able to complete a project helps people feel like they can accomplish things. This pastime can bring seniors together as it’s never too late to form friendships. As for the body physically, arts and crafts aren’t precisely a full-body workout. But they do stimulate joints in the hands and fingers, and frequently elbows. Based on the type of project, there can be a lot of movement. Painting, for example, involves considerable arm motion and a combination of body and mind. 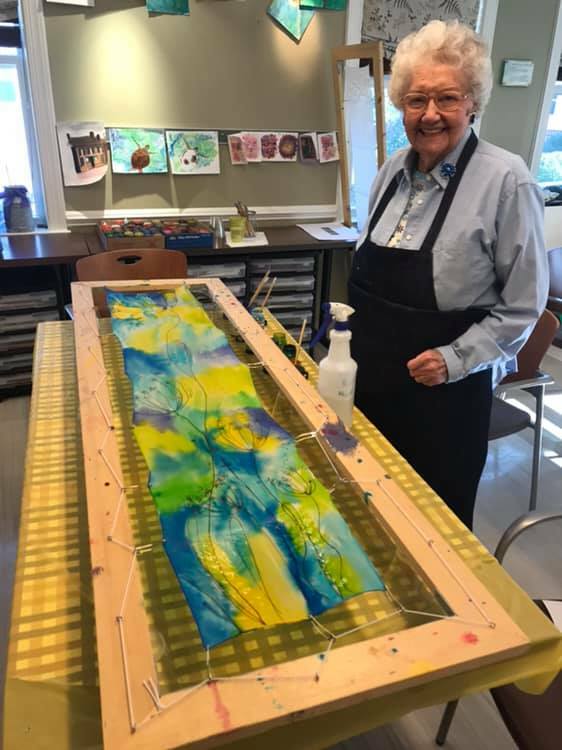 But no matter what the project; arts and crafts are an excellent way to keep blood flowing and the body moving, especially for those days where you may not want to get up and exercise. Crafts for seniors may not be as easy as it once used to be. As seniors age, dexterity does become limited.There are ways around this though. The first and probably most important is patience. It's not all about getting things done quickly but instead to engage the mind and the hands while enjoying the process of creation.Most people believe they must give up certain past times as they experience muscle fiber loss resulting in reduced dexterity. This usually means that they must give up hobbies that bring them great joy. But because of this tendency to reduce activity, it is essential for maturing adults to find new fun pursuits that can increase their dexterity while also stimulating their creativity. Next, be sure to block out enough time for the project. You don’t have to finish it in one sitting, while you probably want to see the finished product, you don’t want to feel rushed while crafting. Instead, think of creating art as therapy. Enjoy your time and embrace a leisurely pace. And finally, when choosing craft projects, avoid potentially dangerous tools, like knives and needles, or hot objects like glue guns or irons. When dealing with limited dexterity, there is a higher risk of accidents. At Brightview, we make it our priority to keep our residents busy and always try to find new enjoyable hobbies for everyone. 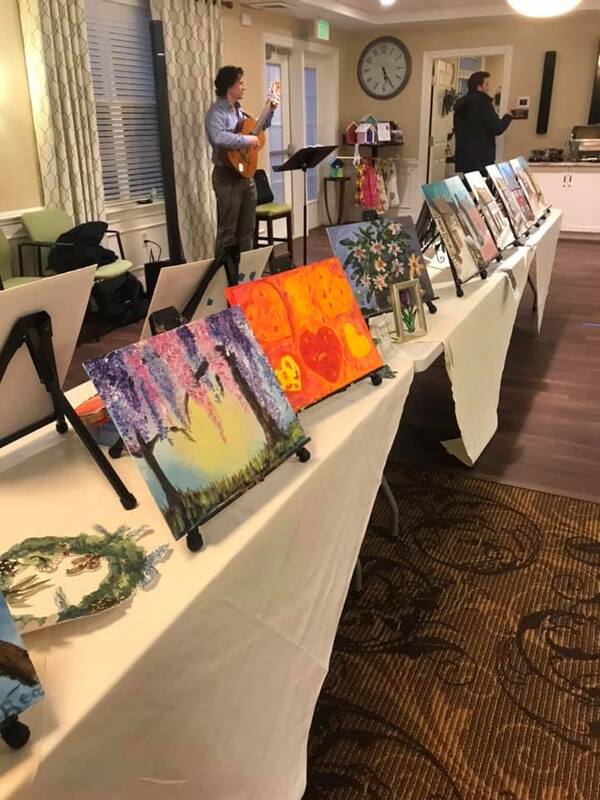 One of the most significant things we work on is, finding a way for our residents to find a way to express their selves through art and crafts. We offer many different art sessions and craft activities throughout the month and always make sure to vary the activities. We want to help our residents create something they can be proud of. One of our favorite examples is what we're doing at Brightview Perry Hall. We have an art teacher come in once or twice a week and teach classes in addition to other projects put on by our staff. 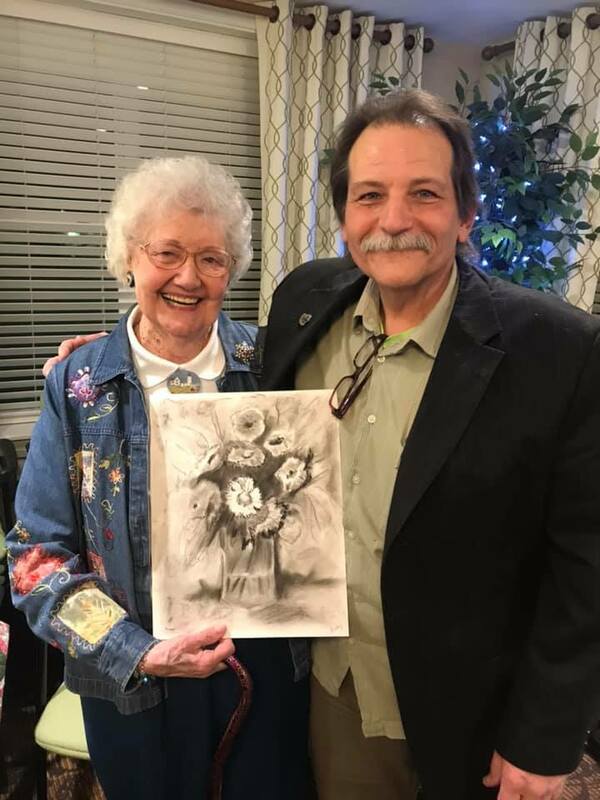 The art from these classes are displayed museum style on our hallways, and the residents love it. 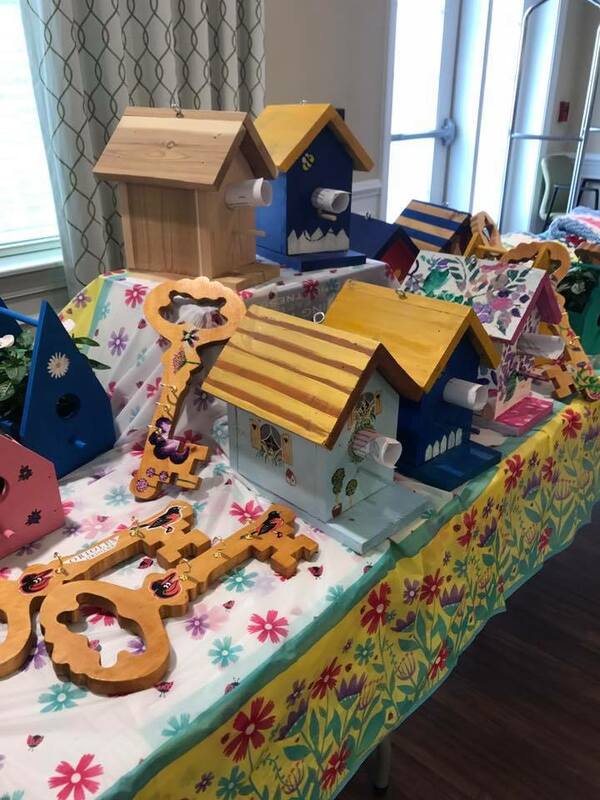 In addition to this, we always do a craft show with our residents work where the public can come in and purchase these items. From this event, all proceeds go to the Alzheimer’s Association. We have also offered a specialized therapy technique called Mneme Art Therapy. This is a multi-sensory therapeutic art session that uses everyday pleasures such as singing, cross-lateral movement, painting, and storytelling in a unique mixture to strengthen and stimulate the brain through creative arts. This program is brought to us by AWBA-Art Without Boundaries Association. 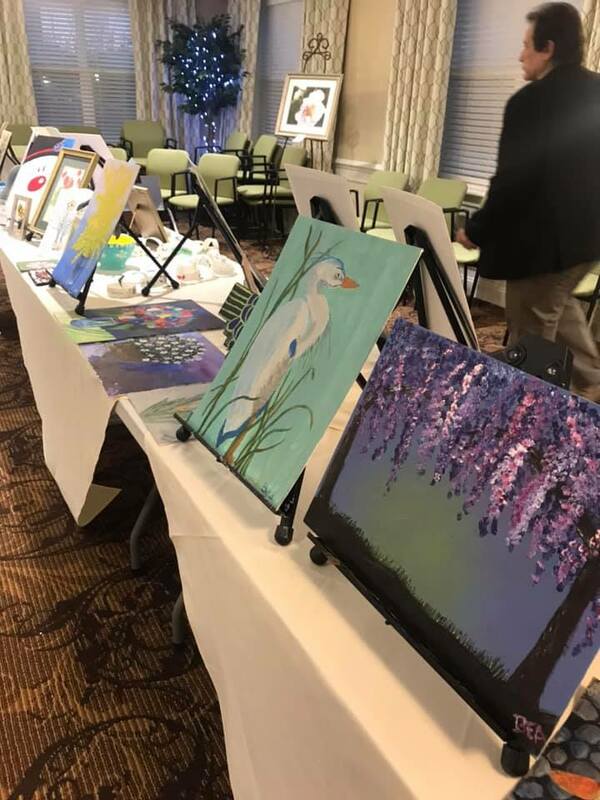 It is a professional organization of artists whose heart’s work lies in improving the nature of life for people with Autism, Alzheimer’s disease and dementia, and other related disorders of the brain. Mneme Therapy is a unique combination of creative arts guided by recent scientific findings relating to brain healing and wellness. 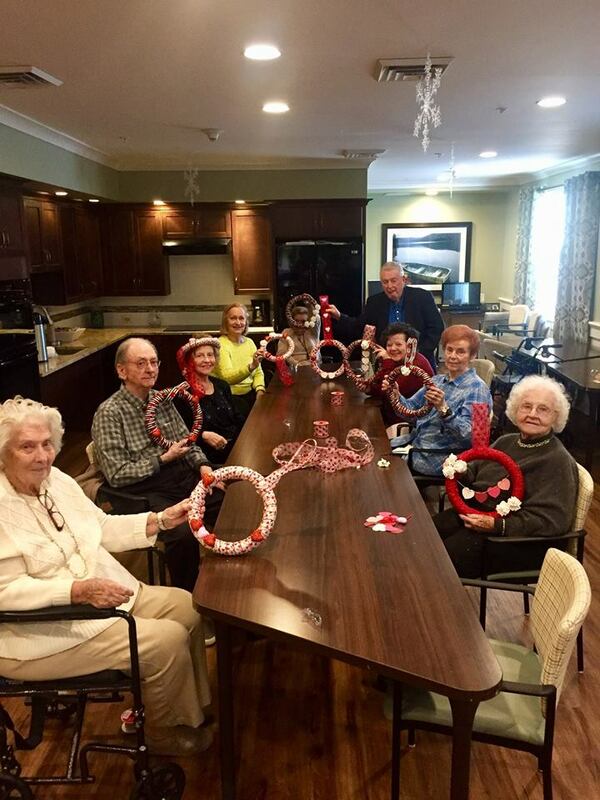 Residents throughout our Brightview Senior Living communities love to craft and live a vibrant lifestyle. Contact us today to learn more about our vibrant living philosophy.